Binance has grown exponentially since it was founded in 2017 and is now one of, if not the biggest cryptocurrency exchanges on the market. Binance exchange is undoubtedly the kingmaker in mid-2018 cryptocurrency. Binance is consistently the world’s biggest exchange, by 24 hour volume, and anytime a coin gets added to the platform, you can bet its value will at least double. Binance grew fast in 2017, but never faltered even when demand was greatest. It remains cheap, reliable, and user friendly, with a few true innovations to its credit. Binance isn’t the perfect exchange for every purpose, but it exceeds expectations for most. It’s hard to believe that Binance was founded less than one year prior to this writing: July 2017. Binance was founded by a team with lots of experience in high frequency trading in conventional markets, as well as digital assets in the blockchain space. The company innovated by releasing its own coin (Binance Coin – BNB) along with the platform, the use of which entitled the owner to trading discounts. The model was a hit, and BNB has swollen in value. Binance quickly added new cryptocurrency trading options, involving its community at every step. Today, their momentum has not slowed, and Binance may remain the most influential exchange in the land for some time to come – even as the company has moved from Hong Kong to Malta to find friendlier regulation. There are many dozens of other coins, all of which have at least several thousand dollars in daily trading volume. Binance regularly allows users to vote on what new coin to add to the list, and makes deals with other projects to add their coin. According to CEO Changpeng Zhao, more than 1,000 new companies are trying to have their coins listed on Binance. It’s unclear how many of these will one day be added. Signing up with Binance is a breeze. Just go to the site, give them your email and a new password, and wait for the verification email to arrive in just a minute or so. Click the verification link in the email you receive. Head back to the site and set up 2 Factor Authentication, which will give you a lot more security than password alone. Once inside the site, you’ll be able to increase your trading limits by giving Binance the ID and proof of address information they request, to fulfill KYC (know your customer) regulations from various nationalities. You’ll be asked to provide a picture of your face along with these two documents as well. This proves that you are who you say you are, which helps Binance prevent fraud and money laundering from being present in their platform. Deposits are made in cryptocurrencies alone. You’ll have a dedicated wallet for each cryptocurrency supported by the platform. Deposits are made by inputting your Binance wallet address into your external wallet address and sending the currency that way. Withdrawals are made in reverse, by putting the address of your third party wallet into the line requested in the Binance Send form. There are plenty of Youtube videos showing this process if you get confused. Don’t send money unless you’re sure you’re doing it right. You can always send a very small amount first make sure you’ve got the hang of it before sending your full balance. Using either the Beginner or Advanced platforms, you’ll be able to choose Bitcoin, Ethereum, Binance Coin, or Tether as your fundamental currency of trade. Of course, you’ll have to deposit one of these currencies before you’ll be able to trade with it. Once you have selected your currency, you’ll see all of the trading pairs available with that base currency. Choose the one you want, and either make a limit order (you choose the price), a market order (the price is filled in for you based on whatever is currently available), or a stop-limit order (you choose the price which will result in a sale or purchase based on specific price action). Once you’ve made your payment, your new coins should be available in your Binance wallet in minutes or seconds. Never store cryptocurrency long term on the exchange which you used to buy it. Hacks happen to crypto exchanges all the time, and people who store their money there often lose it with no hope of recovery. Though this has never happened to Binance, this does not mean that it will never occur. To allay the risk, move your coins to a software wallet on your computer or mobile device, or into a hardware wallet like the Ledger Nano S. For a look at a bunch of high quality wallet options, check out our best Bitcoin wallets page. Binance offers two trading platform interfaces, “Basic” and “Advanced”. The main difference is appearance, and the more sophisticated charting visualizations in the Advanced version. Neither iteration of the Binance trading platform is truly intuitive for new users, but both function perfectly. Users can make Limit, Market, and Stop-Limit order types on both versions of the platform. To be honest, we don’t think that either version of the platform is much more difficult to use than the other, but the user invariably has a preference either way. Binance was initially regulated by financial bodies in Hong Kong, and was directly/indirectly affected by China’s 2017 “ban” on domestic exchanges. Hong Kong wasn’t truly, 100% within the broader Chinese government’s purview, but Binance’s future remained uncertain. As Binance’s international reach extended East and West, regulatory hurdles from the Japanese and Americans, along with continued uncertainty back home, prompted Binance to move to Malta, “Blockchain Island”. Here, the regulatory framework is proving to be much more friendly to Binance, and companies like these enjoy a somewhat collaborative relationship with regulators, together establishing parameters that allow for innovation, while nipping potential problems in the bud. The evolution of this new regulatory environment has yet to be seen. As for user safety, Binance is thought to be very secure for an exchange, and has yet to suffer a significant attack or loss of user funds. Of course, no exchange is ever 100% safe, but for a world leading platform with billions of liquid assets protected within, Binance has performed admirably. Binance’s fee structure is perhaps the most appealing thing about the platform. All trades are charged a 0.10% commission. When users make payment with Binance’s BNB, that fee is cut in half: 0.05% for all trades. This is the lowest trading price you’ll find, except for exchanges who offer free trading. Deposits of all currencies are free. Withdrawals are charged at different rates depending on the coin, you can see Binance’s withdrawal fees here. Binance allows users to pay for altcoins using Bitcoin, Ethereum, Binance Coin, and Tether. No other “inter-trading” of altcoins is currently offered. Binance does not accept fiat payments, and apparently has no plans to do so anytime soon. The regulatory burden would be intense, and Binance is just settling in to their new home in Malta. With #1 user activity in the market, Binance seems to be doing just fine without fiat. Like many other exchanges, Binance accepts customer service requests by email. Prior to taking your request, Binance shows you a list of common questions and their solutions, hoping you’ll figure out how to solve your own problem. If you end up sending in your request anyway, Binance customer service is (in our experience) responsive and helpful. No aspect of Binance is truly unique (anymore), but the exchange stands alone as an amalgamation of many strong characteristics, and innovations that have become so widely copied that they no longer seem like innovations. The most interesting aspect of Binance, for the average use, is Binance Coin BNB. This coin has returned more than 1000% since ICO. It has its own value on the wider market and is traded by investors and Binance users alike. BNB has been copied by other exchanges like KuCoin, but no other exchange has seen their proprietary cryptocurrency become so widely used internationally. 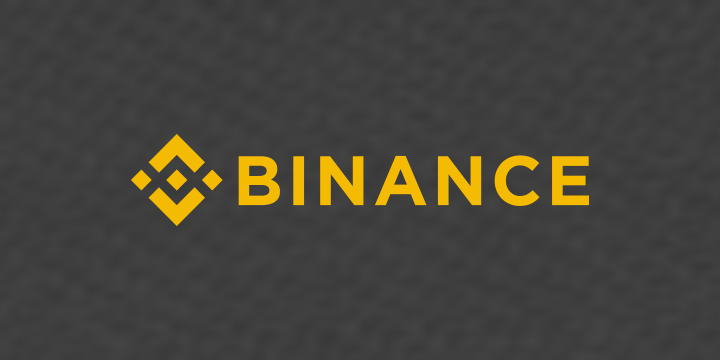 The other aspect of the Binance experience which might be called unique is the huge selection of high quality projects available for trading on Binance. Many other exchanges have quantity (tons and tons of cryptocurrencies), but few match it with quality (not have a bunch of dead coins with no daily volume clogging up the platform) like Binance does. This allows users of even relatively obscure coins to have a reliable trading platform. Binance and eToro are really two different things, with entirely different customer bases (except some crossover traffic which uses both platform for their respective strengths). Binance sells cryptocurrencies using the mechanisms we’ve already discussed. eToro doesn’t sell cryptocurrencies at all. Instead, it lets users invest in crypto with much lower barrier for entry. You see, with traditional ownership of digital assets, users have to transfer and store their currencies all by themselves, using digital wallets created by third parties, and by employing complicated key and address systems which (if the user screws them up) will result in loss of funds. eToro doesn’t use any of these systems. Instead of selling crypto, they sell CFDs. A CFD is a Contract For Difference. The user pays the market price for one of 10 cryptocurrencies (all strong projects like NEO, EOS, Bitcoin, and Stellar Lumens). Rather than having this currency transferred to a wallet, the user’s funds are locked into a contract representing that amount of crypto. The user can cancel the contract at any time, with different results for timing. If the price of the holding is higher when the contract is canceled, the user makes the balance as profit, along with the balance of the contract which gets unlocked with the close of the account. If the price is lower when the account is cancelled, the difference is deducted from the now unlocked balance. Basically, this allows users to invest in cryptocurrency without any of the headache of ownership. Now, if you want to buy cryptocurrency so you can spend it – not just invest – eToro is not the best option for you. But if you simply want to speculate on value, eToro will give you an easier go of it, compared to Binance. Binance, on the other hand, gives you a lot more trading options, and many many more coins to invest in. Which platform you choose will depend entirely upon your needs and preferences. At the end of the day, we have to admit that we like Binance quite a bit. It is a fully featured trading platform that gives users access to more cryptocurrencies (all with significant trading volume) than almost any other significant trading provider. The site comes with few downsides: it’s highly affordable, gives users an investment opportunity in BNB, supports tons of coins, and is available all around the world. But is Binance safe? no cryptocurrency exchange is truly safe. Safety is not their ultimate MO, though of course they must be secure as they are able. Exchanges open themselves up to millions of customers, which create vulnerabilities. There’s no way for a company this big, holding this much cash, to not have a massive target on its back. Nonetheless, Binance provides admirable security and has yet to see a major loss of funds to hacking. This doesn’t mean such an attack will never occur, but Binance has an incredible team dedicated to success in this regard. We don’t expect things to change anytime soon, so we’re able to recommend Binance without reservation. Use the platform as intended, and you’ll be able to trade with confidence. Good luck on all your future trades!